IMKAN, a globally reputed property developer renowned for creating soulful places that enrich people’s lives, has announced that 2019 is the company’s biggest yet in terms of delivery. IMKAN, a wholly owned subsidiary of Abu Dhabi Capital Group, has a robust portfolio of 26 projects spanning three continents and covering 30 million sqm. Five of these developments are due for delivery this year – three of which are in Abu Dhabi, one in Egypt and one in Morocco. The Abu Dhabi developments due to be delivered during 2019 are Nudra, Sheikha Fatima Park and Thanaya. • Nudra, a luxury beachside villa community is over 60 per cent compete and due for handover this summer. The complex consists of 37 villas, each one set on 26,000 sq ft plots, within Saadiyat Island’s Cultural District with views of the Arabian Sea. IMKAN is setting new standards for community living with this exclusive development which has a private beach access and allows purchasers of the villas to fully customize their interiors – the first project Abu Dhabi to offer the option. 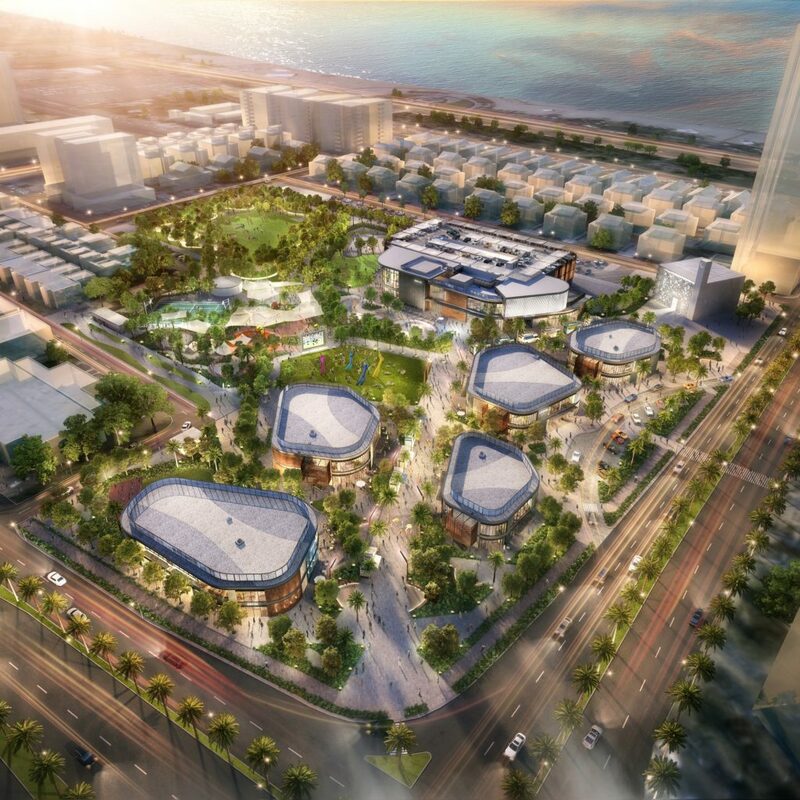 • Sheikha Fatima Park is a vibrant new leisure space in the heart of one of Abu Dhabi’s busiest neighborhoods, Khalidiya and will be delivered in October 2019. The urban park will be a revitalized, multi-use space and packed with community-led activities. Located at the corner of Al Bateen Street and Zayed the First Street, with roughly 10000 sqm available for providing one-of a kind services in a picturesque setting, the park offers an attractive opportunity for local, regional and global businesses. There are ample openings available for outlets including food & beverage, retail, co-worker office spaces, sport and wellness industries, outdoor event ventures and leisure operators. Sheikha Fatima Park will be haven for urban dwellers drawn to the community-centric hub which will offer open-air discoveries for residents and visitors. • Thanaya, an integrated residential development, inspired by the traditional mashrabiya is scheduled for handover at the end of Q4 of this year. The building, located in Abu Dhabi’s vibrant Al Muntazah area, will consist of 84 apartments ranging from studio apartments to two-bedroom units split across six levels. The lively and upscale apartment complex will also house two basement levels of car parks, a community clinic, food and beverage outlets and a pharmacy. Thanaya’s community amenities will be located on its rooftop which will feature a jogging track. IMKAN’s international footprint will be further solidified through the delivery of phase one of Alburouj, an integrated community in Cairo, and Villa Diyafa, a luxurious boutique hotel in Rabat. “Our ultimate goal at IMKAN is to positively impact our residents along with the real estate market; and our projects abroad also stay true to this. Our developments span three continents and we are delighted that our international presence is increasing with these vibrant, creative and community-centric projects,” said Mr. El-Hindi. • Alburouj in Cairo, will be a complete 500-hectare suburb of 25,000 residential units. Start of delivery will commence with phase one in July 2019 with 254 units. Located on Ismailia Road, just 20 minutes away from Cairo Airport, the development is made up of villas, twin-houses, town houses, duplexes and apartments. The complex will house a medical district, a mall, a sports club, a “smart village” and schools. • Villa Diyafa is a luxurious hotel in the embassies district of Rabat and due for handover in July 2019. IMKAN’s global spaces are designed according their ideals of enriching people’s lives and Villa Diyafa fully encompasses this. It celebrates design by mixing Moroccan architecture with Andalusian highlights. Inspired by the life and art of Zyriab, the hotel gives guests an immersive, empowering, luxurious and world-class experience. Further to the above IMKAN is moving full steam ahead with construction on additional projects within their portfolio, AlJurf is a new community located along the Sahel Al-Emarat Coast, between Abu Dhabi and Dubai. It will feature a range of facilities and amenities, including a world-renowned wellness clinic and retreat, unique residential communities and serviced residences, a marina and a town center encompassing a hotel and retail units. It is set in a conservation area of natural outstanding beauty and is set to change the concept of owning a second home in the UAE. Pixel, which will be the first mixed-use project in ‘Makers District” is promoting forward living in what is set to be Abu Dhabi’s new beating heart. The community will be made up of 525 residential units within seven mixed-use residential towers that are surrounded by quiet pocket gardens and frame a centralized pedestrianized plaza – home to an artisanal mix of F&B, retail spaces and office. IMKAN are place-makers – their aim is to create soulful places that enrich people’s lives. IMKAN’s projects are built following extensive research that uncovers the distinct social behaviors and habits of specific market segments – from millennials to discerning high-net-worth individuals. This research-led approach enables IMKAN to shape communities according to profiles, thereby making sure that residents, visitors and investors live a better life.